The Friends of WNPL raise money for the library through Book Ends, their used book store, and other projects. Book Ends is open for browsing during library hours, and is a wonderful place to find long sought after titles, as well as well recent popular best-sellers. 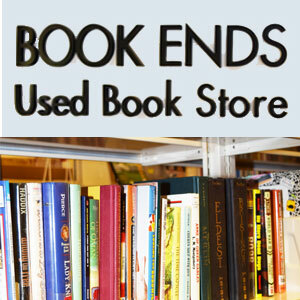 Book Ends is organized by reading level and genre, which makes it a pleasure to browse for your next great read! The Friends also sponsor special Saturday book sales. All book sales are held from 10am-3pm in Meeting Room A. While the Friends appreciate book, DVD, and music CD donations for Book Ends and their Saturday Sales, please keep in mind the following basic donation guidelines. Most materials not accepted by the Friends can be accepted by the Village of Grayslake Recycling Center at 585 Berry Avenue (off of Route 83 just north of Frederick Road). For more info and hours, follow this link.